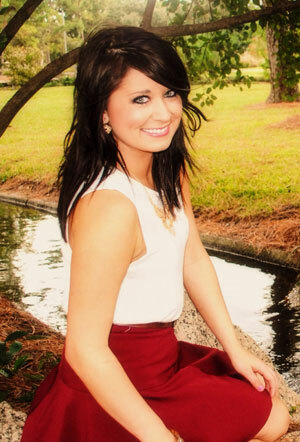 Heather Plyler is a golf enthusiast and has recently joined the E-Commerce team at Lost Golf Balls. She graduated from University of Houston-Downtown in 2013 with a Bachelor’s degree for Corporate Communications. Heather is passionate about golf whether it is playing a round on the course or communicating with others about their last Round. She has been involved in the sport for 10 years that has given her an insight into the commercial value of the products associated with the sport. Did you know that golf is one of the country’s most popular sports? Every year more than 24 million Americans play 455 million-plus rounds of golf. That equates to roughly 20 rounds per golfer annually. Did you also know that golfers lose more than two golf balls per round on average? It’s ok to admit; we’ve all been there waiving sadly as our golf ball takes a hard right turn and splashes down in the pond just off the 18th green. Losing a golf ball can be an emotional experience. You may have had your first birdie with that golf ball. You might have used it to shoot your best round ever. Heck, people even frame their hole-in-one golf balls if they don’t lose it first. Bryson DeChambeau was all the rage during the first three rounds at Augusta National. One of only five golfers to win the U.S. Amateur and NCAA individual title in the same year – joining Jack Nicklaus, Tiger Woods, Phil Mickelson and Ryan Moore (pretty solid company) – DeChambeau captivated audiences with his unique approach to the game. The physics major is a disciple of Homer Kelly’s “The Golfing Machine,” uses irons and wedges all the same length, and relies on science to score well. So when he turned pro shortly after The Masters it wasn’t much of a shock when he signed with Bridgestone. After all, Bridgestone’s golf balls are designed using so much science it’d make Bill Nye jealous. It’s the one piece of equipment we use on every shot, yet most don’t give it a whole lot of thought. Golf balls seem so simple, but have you ever wondered how they actually work? Now, before we get into the science of flight, let’s take a quick peek into the history of golf balls. After all, you have to understand where you’ve been to appreciate where you’re going. Another exciting Masters is in the books. Massive drives, precise approaches, broken hearts and putting prowess were on full display at Augusta National. But if you’ve paid close attention to the tradition unlike any other throughout the years, there’s one thing you’ve probably noticed…every Masters champ shares one thing in common: a masterful short game. The humps and bumps of Augusta National demand imagination and perfection around the greens. Remember Tiger Woods’ epic chip-in on the par-3 16th in 2005 which catapulted him to his fourth green jacket? How about in 1987 when Larry Mize’s pitch shot on the par-4 11th found the bottom of the cup to beat Greg Norman in a playoff? Mastering your short game will shave strokes off your round immediately, so the LostGolfBalls team is here to help with three basic shots that will turn you into a master around the greens. It’s here. The tradition unlike any other is finally upon us. Dubbed the unofficial start of spring, the Masters began in 1934. A year later, Gene Sarazen put Augusta National on the map with his notorious “shot heard ‘round the world” – a double-eagle on the par-5 15th that propelled him into the 36-hole playoff he would eventually win. Let’s pause for a moment and let the familiar tune of Masters week raise the hairs on your arms. Yes, the Masters and all its azalea-filled beauty is set to bloom on our television screens in a few short days. So in honor of this masterful week, the team here at LostGolfBalls put together our list of top-five Masters moments. We’re officially nine days into spring and golfers everywhere are waking from their winter slumber eager to hit the links. To get you ready for the upcoming golf season, the LostGolfBalls team has put together some home DIY tips. No, we’re not talking about backsplashes. The drills we’re referring to are going to help you improve your putting all from the comfort of your living room. After all, it’s drive for show and putt for dough. So grab your putter, change out of those pajamas (or don’t, they’re probably pretty comfy) and prepare to bake up a more consistent putting stroke. The best players in the world are heading to Austin, TX this week to compete in golf’s version of March Madness … the WGC-Dell Match Play. This format is perhaps the purest form of competitive golf. It’s a one vs. one, hole-by-hole competition that can be wildly entertaining and instantaneously heart-breaking. It also requires a bit more strategy than stroke play and demands you pay close attention to your competitor’s situation. To help you excel at match play the team here at LostGolfBalls has put together “two sleeves” of helpful hints and thoughtful tactics that will have you going 1-up on the competition in no-time. There’s a special relationship between a golf ball and your golf club. Without getting too technical, golf balls are designed to react to club heads traveling at certain speeds. Manufacturers engineer a wide variety of golf balls and picking the right one can be a challenge. Rest easy, the LostGolfBalls team is here to help. First and foremost, all golf balls aren’t created equal. The key to picking the right one begins with knowing the speed limit – your swing speed limit that is. Doing our best Neil deGrasse Tyson impersonation, let’s dig a little deeper into the science of the swing to tell you why. With temperature gauges rising, golfers across America are starting to come out of hibernation. While getting your gear ready to go is a top priority, equally important is prepping your body. Many teachers will tell you the golf swing actually starts well before you get to the course. Swinging a golf club is a very physical and violent action. To get your body firing properly you have to produce powerful movements, rotate strenuously around your spine, and put amazing amounts of pressure on joints, ligaments and tendons.